Located within the charming waterside village of Instow, near Bideford, The Commodore Hotel overlooks a fascinating and ever-changing waterfront scene. Situated between the mouths of the Taw & Torridge estuaries, with long stretches of sandy beach, it is without a doubt one of the most unique and scenic locations on the North Devon Coastline. From our hotel you can look across to the charming village of Appledore, and we are a short distance from Bideford. You can drive to the town, or cycle or walk along the picturesque Tarka Trail for a more scenic route. There is lots to explore in the local area around Instow. 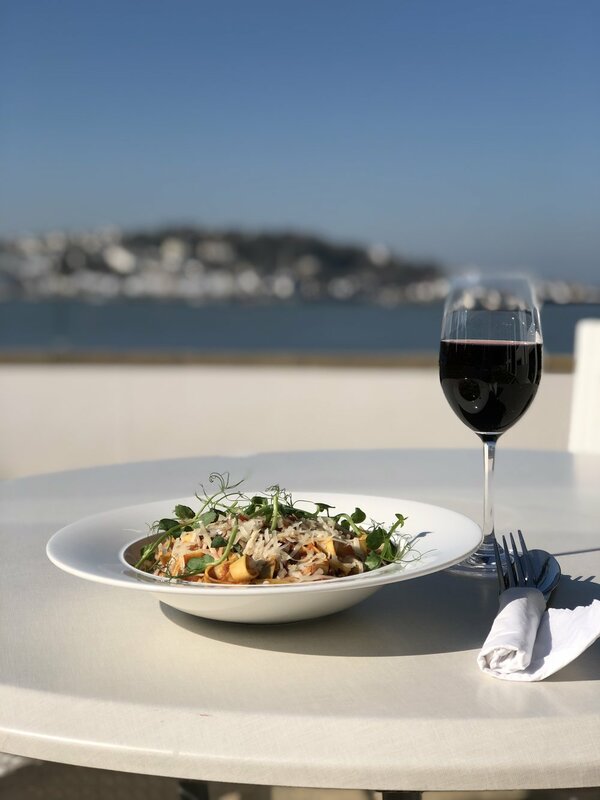 With spectacular views over the estuary and some magnificent dishes made with local produce we have dining options to suit every occassion. Instow and the surrounding towns have some of the best activities and scenery in Devon. If you are looking for shopping, sightseeing or relaxation - North Devon has it all. Exclusive offers and events throughout the year. Whether you are staying with us or just visiting we have some fabulous options for you to choose from.